Owning a vehicle is great. You can go where you need to go, when you need to go there. But, owning a vehicle isn’t the same as taking care of one – and if you don’t take care of it in order to keep it in top shape, owning it won’t do much good as it falls apart and is no longer useful. So, what are some things that you can do to make sure that your car is up to date on maintenance and keeps running as expected? Five quick tips include checking and replacing the battery, keeping your fluids topped, getting car washes when necessary, getting tune-ups when required, and cleaning the interior to avoid certain other types of problems. You car will go nowhere if the battery isn’t working. You turn the key, and you might hear some clicking and chugging, but all of the power to take you from point A to point B is totally gone. And batteries notoriously die when it’s the least convenient – in the middle of winter when it’s freezing cold outside, for example. So, go to an automotive shop and check that sucker regularly to prevent a highly irritating situation. And it’s vital that you understand how to check your fluids. 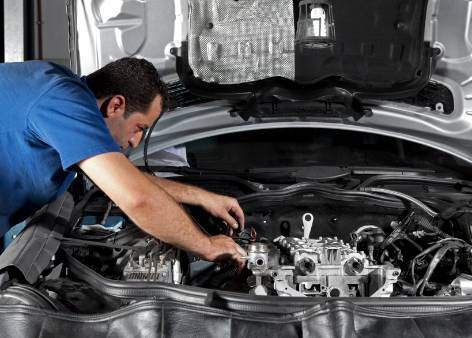 Even once a week, open the hood and check your oil, windshield wiper fluid, transmission fluid, and engine coolant. They’re all very easy checks, and if you notice something going funky with the levels, that might indicate a problem elsewhere, at which point you should take your car into a mechanic as soon as possible. Even though it sounds like it might be a luxury, getting regular car washes is good for overall car performance. If you live somewhere that there’s salt or sand on the roads regularly, that stuff can kick up into your undercarriage and mess with steering, brakes, and even the muffler housing. And if you have a little bit of extra cash occasionally, getting a tune-up is a solid idea. It will keep the engine running at full efficiency, and give you better performance, gas mileage, and even help with things like shifting appropriately. And finally, keep the inside of your car clean! Dusting out the vents, keeping dirt away from fans, getting rid of food or stuff that collects inside – all of that will help you both feel better about the car, and make caring for it overall that much easier on the mind. If anything, start with the interior so you remember why it is that you’re fixing the outside!